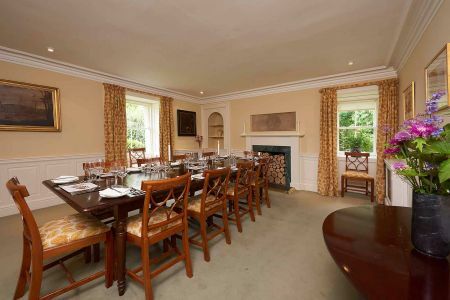 Cottages in the Highlands would like to present Fyrish House, the former dower house on Novar Estate with parts dating back to the seventeenth century. 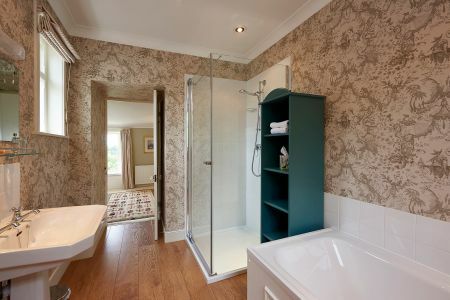 The accommodation comprises a large kitchen with aga, drawing room, sitting room, dining room, conservatory, downstairs en-suite bedroom, 3 first floor bedrooms with a further 3 bathrooms and 2 attic bedrooms. A biomass boiler provides central heating. 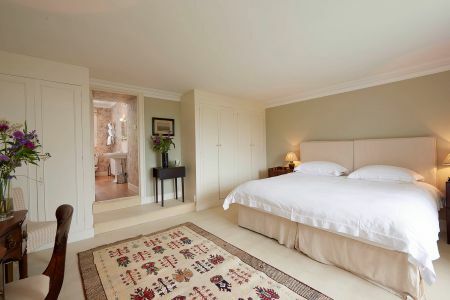 Little Fyrish may be taken as an annexe to Fyrish House to provide an additional double/twin ensuite bedroom and additional living accommodation. 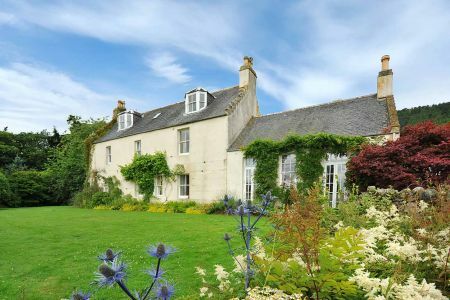 The house and garden have exceptional views over the Cromarty Firth. 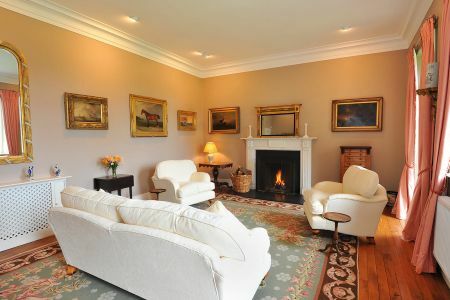 Fyrish House is in a quiet, private location accessed by its own drive. 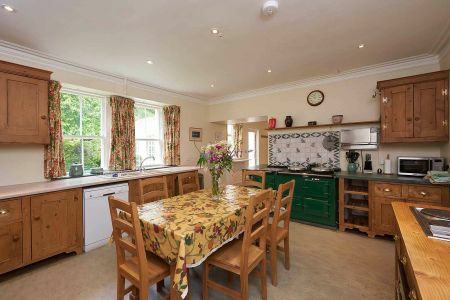 The house is an ideal base to explore the North Highlands, to fish the River Alness, to walk undisturbed for miles on forest and hill tracks or to sample the many golf courses in the area including Royal Dornoch, Tain, Golspie and Nairn. Dogs are welcome in downstairs non-carpeted areas and there is a kennel for them too. Dogs welcome in the downstairs non-carpeted areas. From the South: From Inverness, follow A9 north, over Kessock and Cromarty bridges. ontinue on A9, passing Storehouse of Foulis and then turn left on B817 to Evanton. Continue through the village and then pass two yellow-painted cottages on the left. Shortly after turn left into the drive with gateposts and a small lodge house at the entrance (0.7 miles north of village). Travel up the drive and turn right at the crossroads at the foot of the hill. Travel along this road until you reach a T-junction, then turn left up the hill and continue up this road until you arrive at Fyrish House. From the North: Travel south on A9 or B9176 (Struie Road) towards Evanton. If on A9, turn right on B9176 then left on B817 signposted Evanton. If on B9176, turn right on B817 signposted Evanton. Pass Novar-Tulloch Timber and Fencing Supplies on right. Shortly after, turn right into the drive with gateposts and a small lodge house at the entrance. Travel up the drive and turn right at the crossroads at the foot of the hill. Travel along this road until you reach a T-junction, then turn left up the hill and continue up this road until you arrive at Fyrish House . All heating and logs for the fires are included. 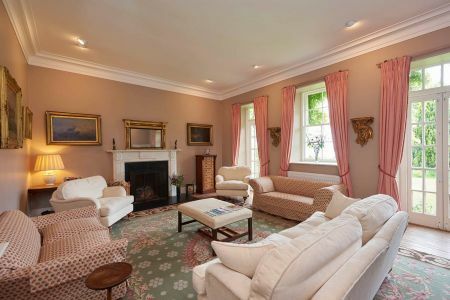 Fyrish House is rented out throughout the year. Change over days are Sundays (but negotiable depending on seasonality). Arrival from 4pm and departure by 10am. Short breaks available - minimum 3 nights. To make a booking check the availability calendar below. Click on existing bookings to confirm arrival and departure times and contact Cottages in the Highlands to make a reservation and confirm the rate. Bookings for our cottages usually run for 7 nights starting on a Sunday. Short breaks of 3 nights or more may be possible either as late availability or in low season. After we acknowledge your enquiry, the reservation will be held for 24 hours. A 50% deposit will confirm the reservation.